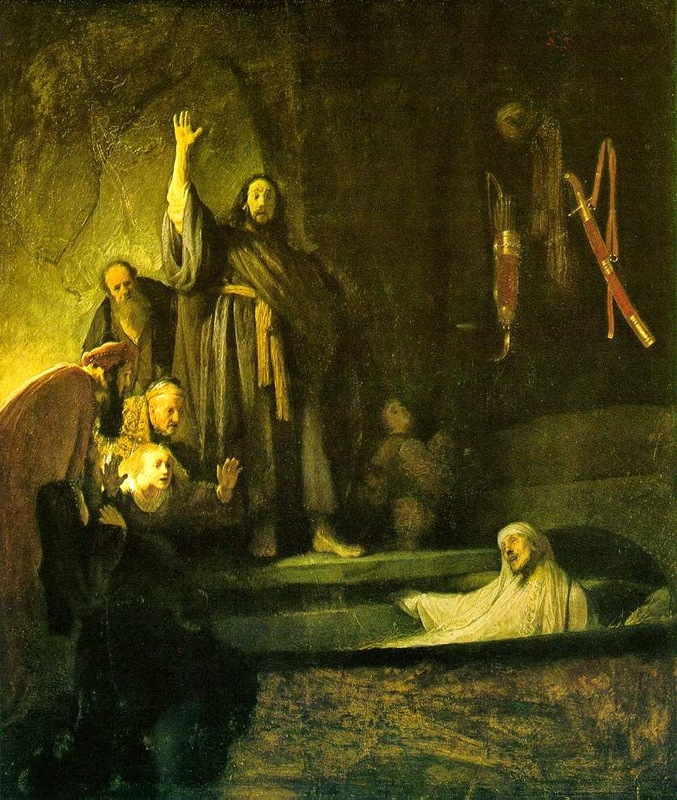 The story of the raising of Lazarus from the dead has particular meaning for me. As a chaplain I confront the reality of death every Monday, Wednesday, Thursday, and Friday. I talk to the families of the recently deceased and of those about to be deceased. I talk to people in the process of dying, or facing death in difficult operations. More personally, I am the son of a 90 year old man who has far more yesterdays than tomorrows. Yet more personally, next month I will turn 63. It has come to my attention that there are very few 126 year olds running around. Like my dad I also have far more yesterdays than tomorrows. 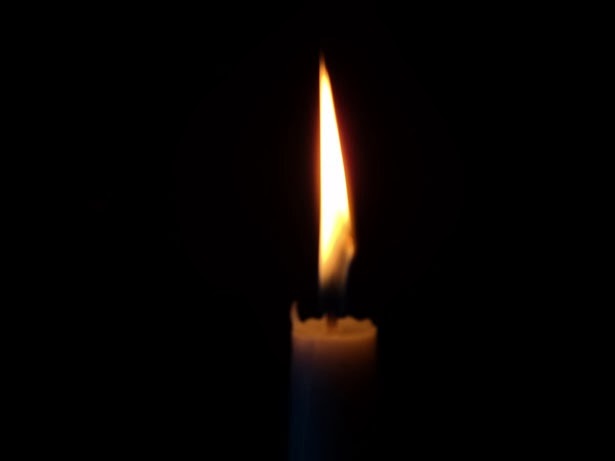 I can sympathize with Martha, who said, “Lord, if you had been here my brother would not have died.” (John 11:21) The death of loved ones always brings up the question: where is God? Why did my child die? My wife? My husband? Why will I die? 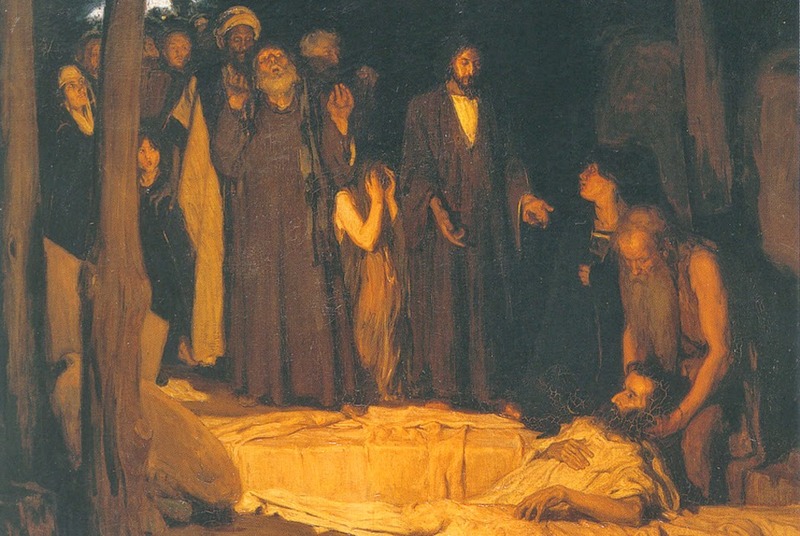 Jesus heard about Lazarus’s serious illness, and was very close to where Lazarus and his two sisters lived, yet did not come until after Lazarus died. In the Gospel it is explained by Jesus raising Lazarus to glorify God. But I can only imagine the pain for Mary and Martha. Why Lazarus? Why me? My only answer is that Christ is the Resurrection and the Life. Now resurrection means something different for us. Resurrection means a transformation, not going back to the same old-same old. By resurrection we are changed; we are better morally, and more beautiful. Death is not ended, it is transcended. We go beyond our present understanding to one that is deeper and more fulfilling. What resurrection really means is beyond me on this side of heaven. Where do I resent the losses in my life and somehow blame God for them, rather than seeing them as places where God's glory will be revealed? Even when Jesus tells Martha that he is the one who raises the dead to life, she does not understand that he is speaking of the present. Where do I doubt that Jesus can bring life? Jesus stands before the tomb weeping. He places no barriers to his feelings about death. Could he be staring at and facing the tomb of his own death? Can I be with him there? Can I stand before the tombs in my daily life, and face them? Jesus shouts the liberating words of life, “Lazarus, come out!” (John 11:43) How is he shouting that to me today? The grace will come when I experience how my “deaths” will not end in death, but in giving glory to God. When I experience how entombed I have been, tied and bound, no longer alive, dead for a long time, I will sense the power of the command of Jesus that I come forth from the tomb.